For those that have branched into the glamping market, well invested! The glamping business is booming – and it shows no signs of slowing down. 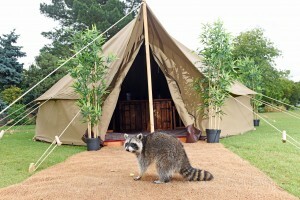 “Glamping seems to be the gift that keeps giving,” declares Tobyn Cleeves of Bell Tent UK. 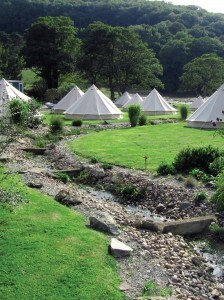 Bell Tent UK has been at the forefront of the glamping scene for over a decade. Established in 2006, the company has grown to incorporate all aspects of glamping equipment including tents and camping accessories not found on the High Street. Also in the portfolio is Hotel Bell Tent, which provides boutique accommodation for festivals, sporting and private events, and even won the 2015 Festival Awards Best Temporary Structure Award. Business is booming in the glamping market – and it shows no sign of slowing down. Pic: Bell Tent UK. “Glamping started out at private parties and festivals and soon filtered through to the mainstream,” Tobyn explains. “We are approached more and more by park owners looking to diversify into glamping - one of the major benefits is the fact that it often attracts a different demographic who would not normally consider staying at a park and are often prepared to pay a premium for a beautiful spot,” he adds. Bell Tent UK specialises in high quality unbleached cotton canvas tents, ranging in diameter from 3m to 6m. New for 2016 is the launch of a new size bell tent, known as the ‘In- Betweener’. At 4.5m in diameter, the tent is a half-way house between the original 4m bell tent and the large best-selling 5m diameter bell tent. “It’s important to remember you are buying a tent, not a permanent structure and you might consider putting it away when not in use to extend its life span,” says Tobyn.